Also this year, the Mediterranean Sea has already become the place where thousands of people try to improve their living conditions risking their life. 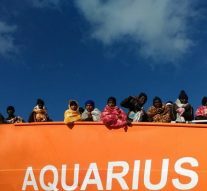 As seen with the Aquarius case, many boats from Northern Africa have begun to cross the sea and the migration issue has become a very controversial one. The declarations of Macron and Salvini endangered a meeting already scheduled between Conte and Macron, while Malta’s authorities didn’t help to kill the fire. If we also consider the previous words of Orban and the position of the Visegrad bloc, it is not hard to image how hard is it to manage the migration issue. One month ago, the Court of Auditors released a briefing paper not exactly on a strictly related matter. The Court indeed has made this work trying to understand how to implement integration policy. Not migration but integration. Maybe the EU has understood, once and for all, that migration flows are unstoppable if we do not change something else. Another important thing we can suppose is that EU, perhaps, is coming to see beyond the migration inflows, thinking about the further step: integration. Iliana Ivanova, the Member of the European Court of Auditors responsible for the Briefing Paper, said: “The long-term impact of the recent inflow of migrants will depend on how well they are integrated into European society”. Mrs. Ivanova also said that “we have identified seven challenges to their integration that need to be addressed by the Member States and the EU”. These challenges are: complexity, lack of monitoring and lack of commitment, incomplete policies, delays and funding. In one word, organization. There is a need of more coordination among the EU and the Member states, but the countries have to do much more by themselves. Quite probably new directives from the Commission and laws by national parliaments will be necessary. One of the most important thing is that in the paper the Court adopted a large and inclusive definition of migrants, including stateless persons, as “persons migrating for the purposes of employment, family reunification, study or research; [moreover] persons seeking protection: asylum-seeker/applicant [and] persons granted protection: refugees, persons under subsidiary or humanitarian protection”. It means that millions of migrants across Europe should benefit of integration measures. But on the other hand the “persons residing illegally [are] not addressed in this briefing paper”. How many are they? If all those living illegally in Europe are excluded, how could integration be effective? Excluding them would mean less problems for the institution, but, ignoring a problem is not the best way to fix it. Are they “less human”? They need care like the legal residents, or not? A more comprehensive approach is desirable. It will also be desirable an approach where no human being is excluded.